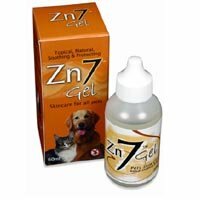 Zn7 Gel is a topical formulation consisting of neutralized zinc. 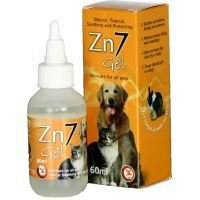 It works as a soothing gel for pets with skin conditions such as shallow injury, abrasions, sores, hotspots, rawness.Zn7 gel not only eases itching and soreness from the afflicted location, but it assists to reduce licking and scratching and does not leave your pets skin flaky, dry or oily. It can be used on it own or securely along with recommended medication. 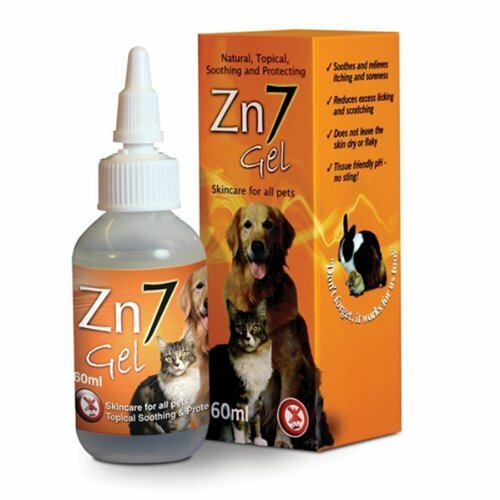 It is likewise really easy to use, as it pH friendly, and will certainly not sting when applied.ApplicationZn7 gel can be found in a 60ml soft squeeze bottle, which is used to use the gel straight to your pets skin. The pack likewise includes 5 foam swabs, to aid ensure even coverage, and comes complete with complete directions on use.The gel ought to be applied two times daily to the afflicted location after thorough cleaning and drying, and can either be dressed or exposed to air after.